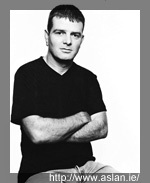 Billy McGuinness, keyboard player with Aslan, one of Ireland's most enduring live acts, discusses the obstacles they've overcome and their plans for the future. Aslan have been thrilling Irish audiences throughout the country since 1982. The Finglas 5 have overcome well publicised difficulties, including Christy's drug problem and the subsequent split, the widespread and obviously inaccurate reporting of Christy's death and a plane crash in Sligo, to become one of Ireland's most enduring and popular live acts. "If you said to me, when we formed in 1982, that we'd be going in twenty years time I'd have laughed at you. There's no sign of it ending." The band has clearly recovered from the plane crash, which proved that it will it take more than that to get rid of Aslan. "When the plane crash happened, we were laughing and joking. The following day, when we went to look at the plane, the shock hit us. There were so many things that could have gone wrong. It didn't and nobody was hurt. Our time wasn't up." Aslan have been touring Ireland a lot over the years, playing every kind of venue, but it's gigs like the one at the Point Depot on 27th December last year that gives the band the biggest buzz. The Point gives them the chance to bring in violins, extra musicians and guests. "It gives us the chance to put on the type of show in the way that Aslan should be seen as opposed in the pubs and clubs." As Aslan are not currently signed up to a major record company, they depend on their massive fan-base. It is the fans who come see them and pay money at the door who enable them to make the next record. "People say to me, 'How long will Aslan go on for?' Aslan will go on for as long people come to see us. We will know when its time to stop and that's when people stop coming to our gigs and buying our records." The priority for the band in the coming year is to try and crack the UK market; they are releasing 'Crazy world' and backing it up with a tour and massive promotion. It has taken them a long time to tour the UK, but, despite the fact that many people were comparing Oasis at their peak to Aslan, they never have had the chance. They were meant go to over in 1988, but they infamously broke up over Christy's drug problem. After a few years in the wilderness, Christy playing as one half of Dignam and Goff and the rest playing as the Precious Stones, they got back together and signed to BMG with the intention of releasing material in the UK as well as Ireland. "They were supposed to release the album 'Charlie Moonhead' and the single 'Crazy world'. They didn't, they dropped us. So that was another opportunity gone. So we've never had the opportunity to go over until now." They can't even release the original 'Crazy world', because BMG own the rights. So when Aslan finally do make their attempt to break the UK, they are going all out. They will be spending three months in England, travelling up and down the breadth of the country, doing every radio station and loads of gigs. As they had to rerecord 'Crazy world', they got who they regard as the best producer in the UK, Mike Hedges, to work with them. They plan to release the single at the end of January. "We'll probably go in under our own label, but it'll be distributed by Vital. Hall or Nothing, who are the biggest PR company in the UK at the moment, will do PR; they handle Oasis, Manic Street Preachers the likes of them. Anglo-Irish will do the press." They are hoping that success in the UK will turn things around in the North of Ireland, where there has so far been no demand for them to gig. They have been relying on 2FM and Today FM to promote the singles, as they have only been released in Ireland to date. "BBC won't play us up North, because we haven't had any stuff released over there. So it's a Catch 22, we'd love to go to the North, but anytime we have gone up there, we've played to 20 or 30 people. It's not worth it, if there was a demand for us, we'd go up." There are no plans to re-release 'Crazy World' in Ireland. Billy explains that it has been played too much over here. "It has been rehashed in 1994 and 1998, and that's enough. The only reason we are releasing it in the UK is because it's our biggest, most popular song and it's the strongest one we've got as a radio single." After years playing the Irish circuit, their plans for the UK mean that, for the next year at least, the Irish fans won't get to see them as often. The band was involved in controversy over a gig in Youghal that was called off twice. Initially, they played a gig in Cork and Christy got sick the next day, so they cancelled the gig. "It was the first time we cancelled in years. It was rescheduled for the 6th December. The pub went out of business, and was liquidated on the morning we went down. And anyone who bought there tickets, the money didn't come to Aslan! The owner of the pub still has the money on him, so get it off him. It was nothing to do with us, the pub closed down and was liquidated." Billy describes their longevity as a vicious circle. "People come to the gigs, that enables us to make more records, that us enables to release records and people hear them and it goes back around again. They hear your records and they come to see you live. There's no sign of it ending." Whether or not their attempts to crack the UK succeed or fail, it's unlikely that will have much impact on their position as a permanent feature of the Irish live scene.